The BMW F650 is a family of motorcycles that was produced by BMW Motorrad beginning in 1993. Models include the F650ST Strada, F650 Funduro, F650CS Scarver, F650GS, and F650GS Dakar. 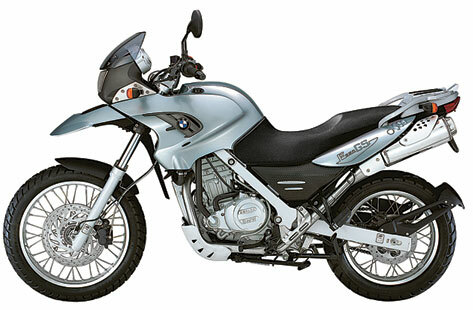 Produced from 2000 to 2007, the BMW F650GS is a dual-purpose motorcycle. It was available in a lowered model with lower seat height from a shorter rear shock, a standard model, and a taller more off-road oriented “Dakar” model. The Dakar model had a thinner, 21 inch front wheel (as opposed to the standard 19 inch) and longer suspension travel for improved off-road handling. It also had a thicker, higher seat. The F650GS’s story starts in 1993 when BMW unveiled the F650 Funduro. Powered by a Rotax-designed engine, the F650 was actually a joint collaboration and was built by Aprilia in Italy for BMW (Aprilia’s version of the same bike was called the Pegaso), and it is this machine that formed the basis of the F650GS. Still powered by a Rotax engine, the 2000 F650GS saw the 652cc single completely refreshed and fitted with a new fuel-injection system to boost both power and fuel economy. Despite being a single cylinder, the GS’s water-cooled motor is actually pretty advanced and comes with a Nikasil-lined cylinder for reduced friction and improved longevity while the head features double overhead cams and four-valves at a point when many singles had just the one cam. Producing 50bhp with 44ftlb of torque, the GS runs a dry sump lubrication system with a five-speed gearbox. A steel bridge tubular frame gives the GS a rugged look, however unlike some other dry sump off-road style bikes the engine’s oil isn’t stored in the frame and instead is housed in a separate oil tank located where the petrol tank is conventionally positioned. Where is the fuel? BMW tucked the fuel tank under the GS’s seat, something that means the fuel filler is located on the side of the bike’s tail unit. This odd positioning helps lower the GS’s centre of gravity and makes for better feel and agility in an off-road environment as well as helping keep the seat height to a low 780mm. Where the standard GS has a 130/80-17-inch rear wheel and 100/90-19-inch front, the Dakar version has a larger and skinnier 90/90-21-inch front wheel to give it better off-road focus. As well as increasing the bike’s wheelbase by 10mm, this also increases the Dakar’s seat height to 870mm, 90mm taller than the standard GS. There isn’t much to shout about when it comes to the GS’s suspension and it runs fairly basic non-adjustable 41mm conventional forks with a monoshock at the rear that features adjustable spring preload and rebound. 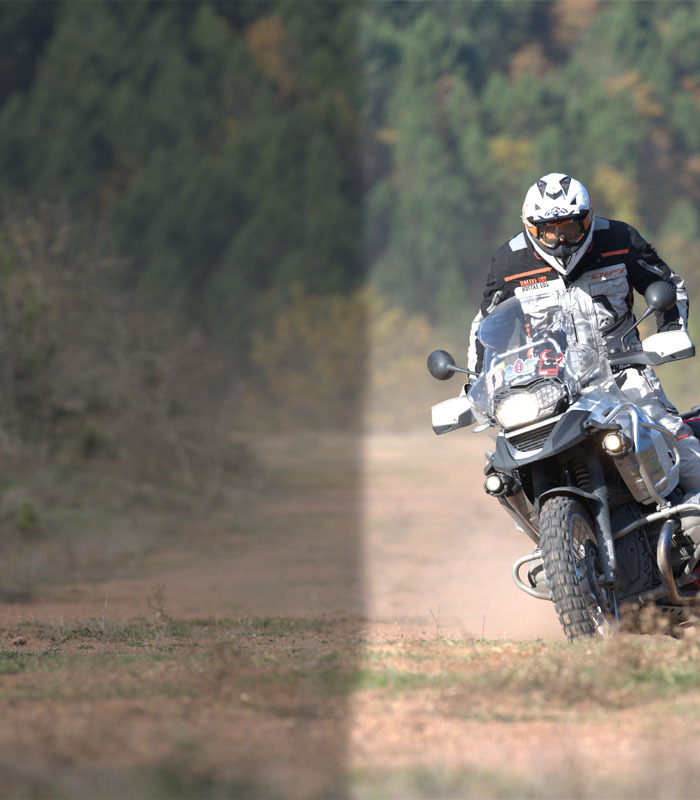 Due to its off-road focus, the Dakar has longer travel suspension than the stock GS with the front given 40mm more travel and the rear 45mm more than the stock bike’s 170mm front and 165mm rear.